Nowadays, cell phone is not merely a communication device but a power packed handheld that boasts of applications that one could not have imagined few years back. 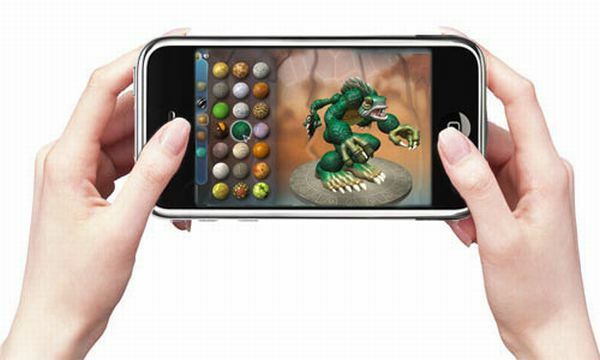 One of them is its gaming feature, which is a boon to gaming enthusiasts. Different models have different games to offer, customized to the uniqueness of their phone. But there are few standard games that anyone can play, that too at practically no cost. So whether you are a gaming geek or just a novice trying your hand at gaming, these games won’t disappoint you. This game is based on the Hollywood flick, Batman Begins. The game is a sure fun to play. It enables you to glide through and toss Batarangs in an action packed and stealthy sequences that keeps you hooked from the time it starts. It is played by manoeuvring the caped crusader through 2D environmental platform puzzle, wherein stealth is used to disarm the number of minions of mob boss carmine Falcone. You can play on BREW and J2ME enabled cell phones. This game is known as one of the most exciting and engaging mobile game. Its USP are its stunning 3D visuals, which makes it appear quite real in comparison to other mobile games. It is played by racing through various semi-vertical surfaces encompassing snow, using wits and tricks created in powerful graphics. Those who use Verizon Wireless V Cast phones can enjoy this game. Midnight Pool happens to be the best game of billiards made available for any mobile phone platform. The visual effects are pretty realistic giving you the feel of real time play. While playing, you can find an overhead perspective, which gives you complete control of the virtual pool table. Hence, as you play, you get your rewards in the rich tournament mode. Any J2ME enabled phones can give you the opportunity to play Midnight Pool. This game is basically played by arranging cards in a square grid to create blackjacks vertically, horizontally and diagonally. If someone has to describe this game in short, it will be ‘an excellent concept coupled with amazing visual effects and graphics’. Tic-a-Tac 21 has various play levels and comes in a number of options. Though it sounds simple, you can play at a high difficulty level to challenge the gaming wizard inside you. In addition, you can play it with other online friends as well. Mostly compatible with J2ME and BREW enabled cell phones. The unique aspect of this game is that it goes on and on but doesn’t let a player lose interest. The gameplay is a tangible one where the puzzles keep changing every now and then, making it more exciting. It can be played at various difficulty level and lets you unlock armors, keys and weapons in different environments as you bash people with your sword. It can be played on BREW enabled phones. A first look at the game will make you feel as if you have already played it but what make this game different is its outstanding designs of spatial riddle. The puzzles in Toxic Lab can get really tough to crack, and the fun and entertainment you get is unmatched, which will propel you to play it until you crack them. Generally, you need to vaporize the chemical weapon barrels by mirror positioning and using laser beams and so on. The BREW and Java enabled phones can render you the chance to play this game. The Aquarium Pets is primarily an interactive screensaver for your mobile phone but is very complex and intriguing at the same time. The game basically needs you to manage the population of fish, breed new ones and eventually get a screensaver for your phone. It gives you a rich active and passive experience and lets you create countless fishes. It is mostly played on the BREW and J2ME enabled phones. It is a simple yet fast and action packed game. It comes with excellent graphics that makes the gaming experience fun-filled. You play as a oriented shooter who has to concentrate on his target. It works on all BREW enabled phones. This game is ideal for those who love difficult and complex games. It allows you to use countless cool weapons to shield yourself from enemy attack, in the form of ants, fire and so on. All you need to do is fight with your enemies and as you progress you will be finding the six legendary tomes. It can be played mostly on BREW and J2MEenabled phones. ← How to know your need to get new cellphone plan?